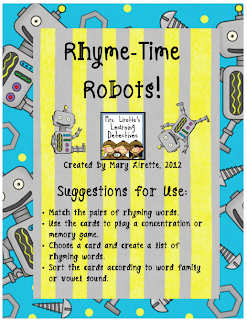 Classroom Freebies Too: Rhyming Robots game! Here's a CVC rhyming word game for you to download. Enjoy!